What is a VPN for? During the past years, VPN connections have become all the rage, and users’ figures are growing exponentially. Nowadays, a VPN service is essential if you want to stay safe online and protect your sensitive data. In this article, we will introduce you to the VPN world, and we will give you some necessary information on how to set up a VPN and what are some of the best VPN services on the market. Simply put, a VPN connection is your gateway to true digital freedom and a must-have if you are concerned about security online. It is a digital tool super-simple to use that has the function to make your Internet connection almost 100% anonymous. A VPN server hides your identity online and encrypts all your data keeping it safe and secret. Moreover, thanks to its capability to mask your real IP address and replace it with one given by the VPN server, you can have full access to streaming contents from all over the world, download BitTorrent safely, access geo-restricted websites and a lot more. Special Offer $2.99 75% off! Are you part of the “I don’t have anything to hide” club? That is what most Internet users believe. They don’t think they may be a target. Maybe they don’t do much online, just reading a few emails, news, or connecting to the home banking. For this reason, they believe their profile is unappealing to cybercriminals and therefore safe. Well, as you will discover later on in this article, just having an email account exposes you to more risks than you might ever imagine. Even though you may believe you have nothing to hide, what a hacker, cybercriminal or government agency can discover about you and your personal life may be shocking to you. All just because you connect to the Internet, independently of what you do when online. Even more frightful is what they can do with the information they collect. I suggest you have a look at this brief video that highlights some of the dangers of using the Internet and some core benefits of activating a VPN service. We will go deeper into all the details in this article, but the video will give you a better idea of what is a VPN. 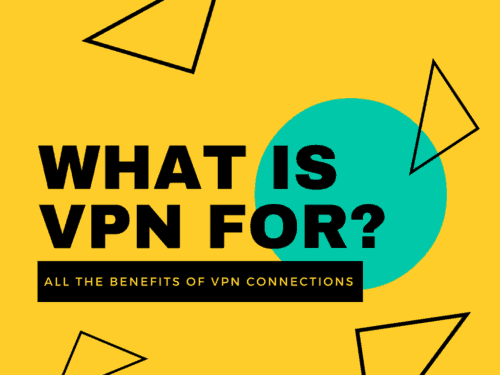 First of all, let’s try to understand how a VPN connection works, a crucial step in understanding all the benefits in store for you. You may think of a VPN service as a series of computers networked together over the Internet. 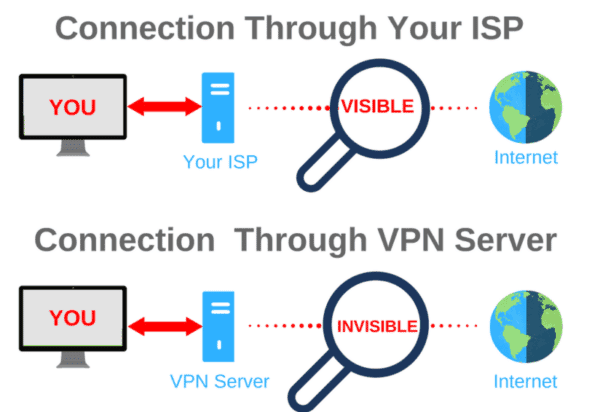 In brief, when you connect to the internet through a VPN, you bypass the server of your ISP (Internet Service Provider). Instead, you connect through a different server provided by the Virtual Private Network provider that can be located in your country or anywhere else in the world. As a result, your real IP is hidden, and the one assigned by the VPN server will show up instead. Most importantly, all your traffic will be encrypted so that nobody can snoop into your personal affairs. In tech jargon, this is known as a VPN tunnel. Try to imagine you’re driving your car, and for some reason, a traffic control helicopter decides to follow you. You’re totally exposed. Whatever you do and wherever you go is clearly visible. But what if you were to enter a tunnel? Now it’s a different story. The helicopter pilot can keep flying for as long as he likes, but there’s no way he can pry inside the tunnel. What happens inside the tunnel is your business and yours alone. This is how comfortable a VPN connection can make you feel. But let’s see all the benefits you will enjoy by subscribing to one of the best VPN services. If you use the Internet for any reason, you’re exposed to risks. There’s no doubt about that. The Snowden case openly revealed the scope of the problem. But if you think this example is too extreme and doesn’t resonate with you, think about what has happened with some Internet-connected toys. 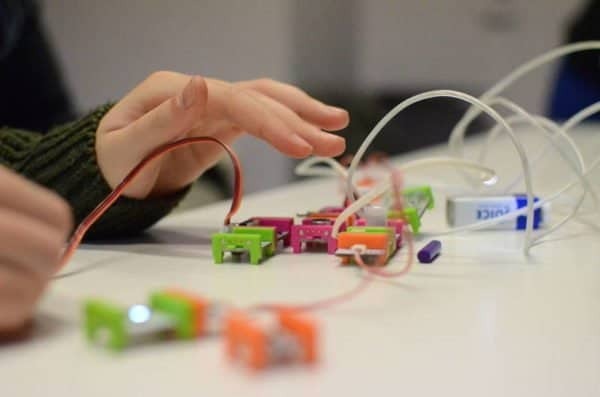 It was shocking to many parents to discover that Internet-connected toys pose a privacy risk since they collect data from kids, including their movements. How this data will be used is not quite clear, but the idea alone of strangers prying into your kid’s life is scary. This is just an example of how something seemingly innocent can hide some serious dangers. 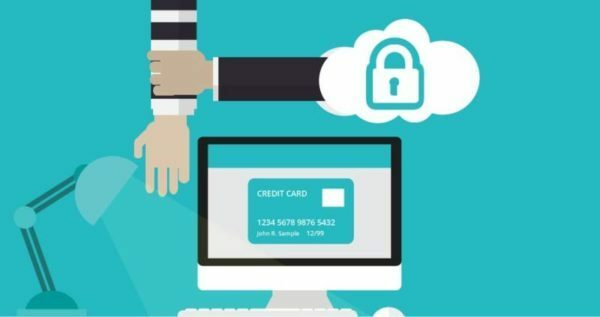 The point is quite straightforward: The very moment you access the web, you’re exposed to dangers like privacy violation, identity theft, online banking fraud, government surveillance, credit card fraud, and the list goes on. All these problems may be just a nuisance but often they involve legal issues or will cost you a lot of money. You can prevent any of the above protecting your internet privacy through a VPN connection. When you connect to the web through a VPN provider, your real IP address will be hidden. Your IP will be substituted with one assigned by the server you’re using. Here is an example of how that works. If you are in San Francisco and you connect to a server located in LA, you will appear to be connecting from Los Angeles. Similarly, if you select a server in Japan, for the Internet you are officially connecting from Japan even though you are comfortably sitting on your couch. Therefore, once your real IP address is hidden, your identity and internet privacy are protected from hackers, cybercriminals, government agencies, and whoever may try to spy your private life. Nobody can see who you are, where you are or what you are doing online. Remember the tunnel illustration we mentioned before? When you connect through a VPN connection, all your data will remain secret. Nobody can pry into it. Have you ever noticed that every time you search online for a product, a holiday destination or whatever else, it is just a matter of time before you get a lot of banners and pop-up ads featuring what you just searched for? Is it just a coincidence? I don’t think so. All your data on the internet is tracked and used to understand your habits. Companies use this data to send you targeted ads. But the same data can be intercepted by cybercriminals, government agencies or ill-intended people. The risk is high. Try to think how much information about your personal life can be collected just by hacking your email account. And a lot of info sent via email can be pretty sensitive. Just dealing with identity theft is enough to give you a serious headache. A safe and reliable VPN connection will hide all that information. The data will be encrypted through a VPN protocol with AES 256 bits like OpenVPN or, alternatively, L2TP, SSTP, and PPTP. You don’t need to know about these algorithm protocols, your VPN software will activate them automatically. As a result of this encryption, even if a hacker or any other entity intercepts your information, it will be impossible to read and therefore useless. With a VPN your private life will stay private. How often do you use public or free Wi-Fi connections? We all use free WiFi whenever we can, especially when we travel or go to our favorite restaurant or coffeehouse. Do you know that public Wi-Fi hub-spots are a favorite fishing pond for hackers? WiFi hubs are highly unsafe and unprotected. Since they are often free, nobody will invest the money needed to make them safe. 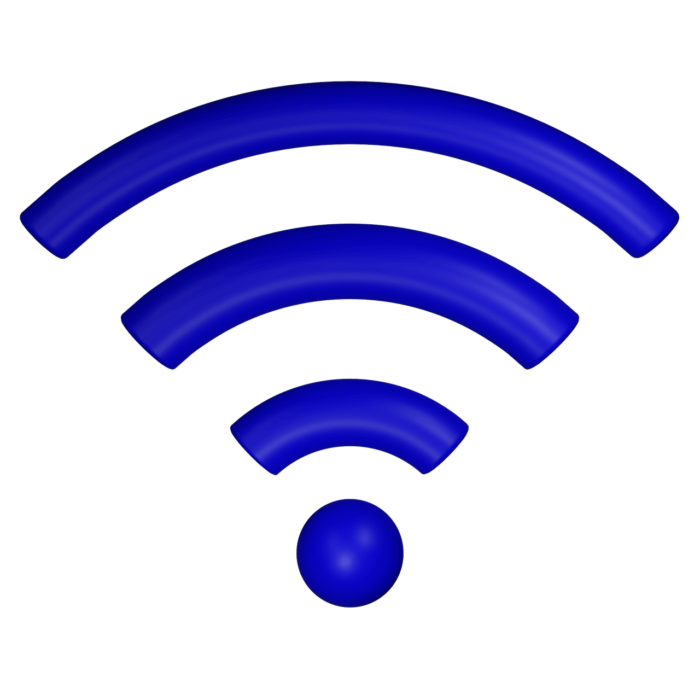 Hackers even set up fake Wi-Fi hotspots to steal your data. If you happen to connect to such a fake WiFi hotspot, as you surf the net the hacker will steal sensitive data from your device. Every time you connect to a public Wi-Fi network, you never know who is looking at your data unless you protect it using a VPN connection. I’m sure you’re quite careful about protecting your computer at home. You may do a periodic cleanup, install an antivirus software and so on. But what about your smartphone or tablet? Do you have an antivirus software installed? Most likely no. Many of us do not feel the same urge to protect our mobile devices as we do our laptops and desktop computers. That makes these devices highly vulnerable. That being the case, the risk of internet privacy and security issues is extremely high. The best VPNs on the market can protect your mobile devices easily. You can find several user-friendly and reliable VPN forAndroid and VPN for IOs that make protecting your mobile device like a walk in the park. We just mentioned above that all your activity online is monitored. Online shops and e-commerce platforms are interested in your activity too, and they use it to their advantage. For example, if you shop online for air travel, it’s a common practice for websites to increase the prices as you keep looking for flights. Your active search is a signal that you really want those tickets and you may be even willing to pay a little higher price to get them. Therefore, based on this information, they may decide to hide new offers from you. 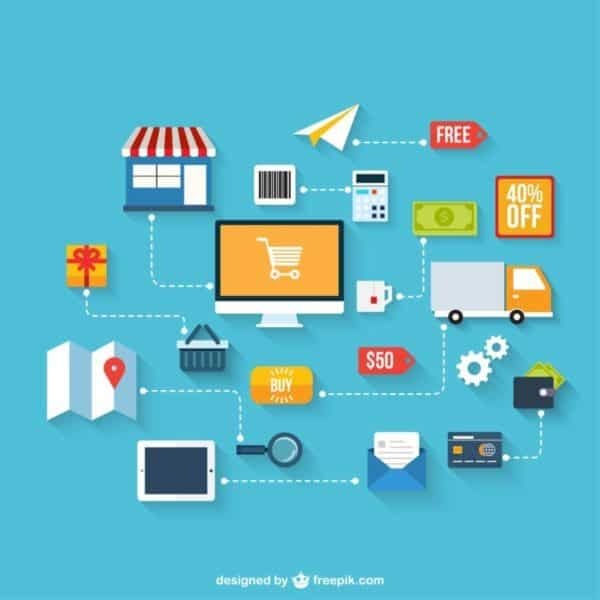 The same tactic is commonplace for most e-commerce platforms. However, if you shop online through a VPN connection, the companies will not have any information about your search history. Every time you go back to their platforms you will appear like a new user and that gives you a chance to find better prices. Just give it a try and you will be surprised at how many times you will be able to save some bucks. Some websites or their contents are reserved only for users connecting from certain countries. For instance, if you have a US Netflix account but you want to watch it when you’re outside the US, you cannot. If you are addicted to Spotify but you’re in a country where the service is not active, forget about your music. The geo-location will block your account. The same is true when you are in countries with strong censorship. Try to use Facebook while in China, and you will quickly see that it doesn’t work. The geo-localization is a problem for many travelers or expats that cannot access their favorite contents while abroad. The same applies, for instance, if you want to watch sports live streaming online or movies online that are not available in the country where you live. The geo-restriction impose a heavy limit on what you can do online. A VPN service, instead, will guarantee you access to all websites and online contents you want. Remember that you can fake your IP address and appear to connect from the country where your favorite website or streaming content originates. This way you can easily geo-spoof location-restricted websites. Warning: This practice may involve copyright violation, so it is not recommended. If you’re crazy addicted to Torrent downloading, a top VPN will hide your activity preventing legal problems. In this case, you need to select highly reliable VPN provider with a strong “no logs” policy. Watching streaming content online is now commonplace. However, streaming online can become a nightmare if the connection is not fast enough or if you bump into the most annoying message “this content is not available in your country.” A VPN service is a quick fix for both problems. Most of the time, you may experience buffering not due to a real problem with your Internet connection but because you are the victim of throttling. Throttling happens when your ISP (Internet Service Provider) slow down your internet connection because you are using too much bandwidth and they want to save it for other users. When that happens, your online streaming experience will be marred only because your ISP decided not to provide the full service you paid for. However, if your VPN connection is activated, the ISP doesn’t know what you are doing online and therefore it cannot throttle your connection. At the same time, the VPN allows you to connect to servers in every country around the globe to access content otherwise blocked. Netflix US, BBC iPlayer, Hotstar, SkyGo, and many more resources will be accessible despite the place you are connecting from. Even if running a VPN service is a pretty complicated business, it is easy for you to benefit from the service. You don’t need to know any technical jargon and being a geek is not required. The best VPN providers, like ExpressVPN, IPVanish, CyberGhost, and HideMyAss, have created software that makes using a VPN easy-peasy. All you have to do is to download the VPN software into your device, click on the activation button, and your privacy is fully protected. That’s all you have to do to stay safe online. If you are a new user, to set up a VPN on your device may sound difficult but it is not. The most challenging step is probably to choose the best VPN for your needs. In this case, you can check our VPN for Beginners article or the full list of the best VPN connections on the market that will make your decision easier. You can now surf the net as you usually do but with the peace of mind of being protected entirely. To activate a VPN on your device requires only a few seconds but the benefits you can now enjoy are impressive. Searching online, you may find countless VPN providers and most of them offer a free service. Is it advisable to use a free VPN? Even though a free service may be appealing to you, you must exert extreme caution when subscribing to a free VPN connection. Free VPNs need to make money to keep running. Many free providers sell your personal data to third parties to raise the money they need. This put your privacy and security in danger and it is exactly the opposite of what a good and reliable VPN should do. During your connection, you will be bombarded by tons of advertisement that in the long run will spoil your overall experience. It is not unusual for free VPN software to attach malware to your device. This practice is called malvertising and it exploits the malware on your device to show the ads the VPN has selected. Of course, once the malware is on your device it could expose your personal information or you can transfer it to other users. Free VPNs comes with big limitation in their usage. The monthly amount of data you can transfer monthly and the connection speed make them practically useless for online streaming. Torrenting and P2P are usually not allowed. Even if they are, the connection is so unsafe that you don’t want to use it for such sensitive tasks. The free VPN server network is limited with just a few choices. Therefore, you cannot unblock many geo-restricted websites. When it comes then to major services like Netflix USA, a free VPN is totally useless. You may still use a free VPN provider for minor tasks and only if they do not involve your sensitive data. However, our advice is to limit the more you can the usage of VPNs for free. The downsides are way too many and at the end of the day, a top VPN costs you only a few dollars per month. For such a small cost, there is no point in putting your security and privacy at stake. You can check here the prices of the best VPNs on the market. So, did you get what is VPN for? As online risks keep rising, a VPN connection is becoming more and more a necessity for any internet user. Hackers are increasing their activity, government agencies are more interested in your private life, marketers desperately want to sell to you. Any of these can become a real nuisance and in some cases an expensive problem to fix. Take a look at our selection of the best VPNs. We chose only the most reliable and trustworthy companies on the market. In our reviews, we clearly explain the pros and cons of each service to help you find the best VPN for you. Many of these VPN services even offer a free trial period so you can experience internet security and digital freedom firsthand without any risk. Virtual private network is very beneficial in digital marketing websites. With NordVPN you’ll never go wrong. If you have the budget, you can test even ExpressVPN and IPVanish who are some of the VPNs we personally use the most. Coma saber se estamos a ser “observados” ou não mesmo utilizando vpn. Vpn that I use is not presented in this article. I use Veepn, it is also very good, with a low price and high speed. I’m using Veepn for everyday tasks. I’m completely satisfied with it.